Fellowship In Faith Ministries seeks to be a vessel for your love to the persecuted brethren Our Lord leads us to serve. Unlike some charitable organizations, we are fully volunteer, non-profit and overhead in time and material is donated to the service of our brethren. There is nothing we reserve from donations for the operation of the ministry. Every cent is forwarded for use exactly as requested. We seek to be a conduit to send your assistance where you desire it to be applied. We are happy to be vessels for you. If you feel led to serve these brethren or support our ministry efforts, we welcome your partnering with us. Of first importance is prayer – for the brethren whom we have been led to serve, and prayer for success in our stewardship of this ministry that it may be pleasing to Him who Sustains us. 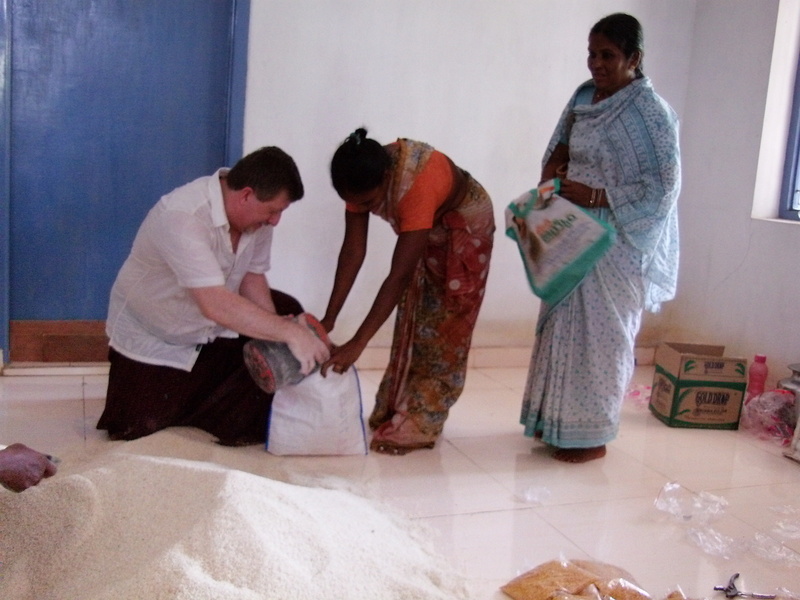 Fellowship In Faith currently commits to monthly support of the widows in the slums of Lanka and Rajupalem at the Shalom Congregations in the Church of God, India. We send monthly support for the three pastoral Gampala families who serve the brethren 24/7. We also send monthly support to the orphans at Hebron and send a monthly stipend to pay for government-required personnel at the facility and campus. What we are currently able to send, seems as tear-drops in an ocean of need – but every drop is precious and every single person served is one person who feels the love of the Household of faith in Christ touching them. If you are being led or desire to send financial support, your gift will be sent and used exactly as you direct. Please indicate in the memo section of your check where you wish your offering to be applied.